Evergreen shrub. 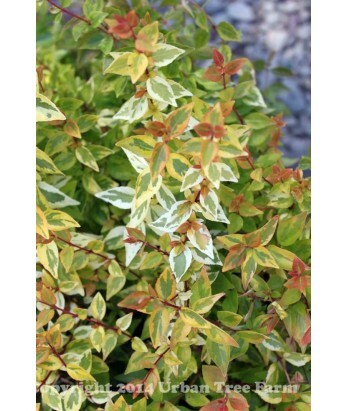 Bright, golden yellow variegation on medium green leaves along with brilliant red stems create a striking kaleidoscope of color. A low, compact selection for patio containers or massing as a groundcover. Regular water needs once established.